This field is vast, and I encourage many other articles on this aspect of Manhood and Masculinity. For those who wish to do research, I suggest the following terms: ‘Kupigana Ngumi’ (an umbrella term for African Montu Arts), Montu Arts, African Martial Arts, Pan Kau Ra Shen (Defeating your enemies with the force of Ra), Nuba Traditional Wrestling, and/or the researchers above or suggested resources below. There had been much controversy throughout the History of mankind on the Origins of human combative systems. My seven years of Martial Arts studies lead me to ask many questions and have suspicions of what is fact and what is myth. It all started when I first started training in Karate. Although, the History of the system I train in seemed accurate, the origins of the Martial Arts as a whole has questionable authenticity. I have been taught that the origin of Martial Arts had been invented in one particular country, by one particular man. Then the arts went over to China, and then it spread to Japan and the world. I took it for what it is. I can even say this off the top of my head, but deep down inside me, that the history I have been taught is vague and has at least half fact and half myth. I have been taught that the Indian Buddhist monk Bodhidharma (Chinese name Da-Mo) is considered the originator of the Martial Arts; he traveled from India to China and taught the Shaolin Monks in Honan province and taught the monks meditation. He noticed that the monks were falling asleep and physically out of shape and constantly being attacked and robbed by bandits. Then Da-mo taught them Zen Buddhism, breathing exercises and Martial Arts and the monks became physically healthy. I gradually didn’t believe in the story because this supposed event happened during the 6th century AD. In between the fall of the Roman Empire and the rise of the Islam/Moorish Empire, in which Historians call this era the Dark Ages. So I was privately been going around questioning the Bodhidharma Legend. I began to be disillusioned about how the History of the Martial Arts was presented to me. How in the world can every combative system of grappling, boxing and the use of weapons can come from one man and spread throughout the world? So I branched out to find the answers myself. The Bodhidharma Legend has been all over the net, been mentioned in quite a few Asian Martial Arts books I have read, and portrayed in a number of Martial Arts documentaries such as Fight Science and Human Weapon when the subject is on Chinese Martial Arts. How can China have no combative techniques until the 6th century AD? I asked myself. China has a long rich Martial Art History that even predates Bodhidharma’s arrival. I remember reading somewhere on the net that there are no records in India or Persia about Bodhidharma except in the Himalayas and Honan province and throughout China. So Indians never claimed that the Martial Arts started in their own country. My former Sensei, Mike Coombs, Koryu-Uchinadi practitioner said, “Every civilization started and developed their own combative system.” I do remember him saying that. Although I was still wasn’t sure about what to believe in. All the while a Forum member told me that “why worry about investigating all of this? Studying the Martial Arts is about making history not finding out all of this.” I didn’t reply. I didn’t take heed to his message, I stubbornly wanted to know. Why not question? We need to question in order to understand our own roots. I came to the conclusion that if those that say that all indigenous fighting systems developed from all civilizations, then these fighting disciplines have its roots where mankind began, I theorized that they have started in the middle-east and Northern Africa. Before training in the Martial Arts, I was just an ordinary fan of it that haven’t tried it out at the time. Like many people, at least those that never donned on a gi or any type of traditional uniform and try the type of discipline out, these people believed that the Martial Arts are only from East Asia. When you here the term Martial Art the first thing that comes out of people’s mind is Karate, Kung fu, Judo, Taekwondo, disciplines out East Asia and most of them are modified for civilian self-defense and sport instead of the use for the battlefield against someone who is equally skillful as you. If you Google search “The Definition of Martial Arts” the result you will get is anything that is related to unarmed combat, anything that is from East Asia. The result you will get is that the fighting systems out of Africa, Europe, Australia, and Native Americas are completely forgotten. For the new generation coming up, many people would think that the fighting arts outside East Asia are never even thought of. I remember back in the Black Belt mag. Forum, when I started a discussion on the best Martial Arts movies of all time. I began say movies such as Troy, Braveheart, King Arthur, The Scorpion King etc. The thing is that these movies I have mentioned are movies that are overlooked as Martial Arts movies. I can go on and say Alexander the Great, The 300 Spartans, and Rocky are sadly overlooked to be classified as Martial Arts movies. I said this before and Bryan agreed to what I said. No disrespect to East Asia with their rich History of their Martial Arts. But does Martial Art movies always have to be related to Asian Martial Arts with flashy, aerial moves? No. A year ago, I have finally been able to find the answer I have been looking for 5 years of research. Where human civilization began was in Africa, so the fighting combative systems originated in Africa by the earliest tribes of the Kemites and the Nubians. Before any civilization and human recorded history existed outside of Africa, there exist a number of hieroglyphics on many tombs and temples of my ancestors performing forms of unarmed combat such as grappling, boxing, and weaponry such as the spear, bow and arrow in Kemet (modern-day Egypt), and these fighting disciplines spread throughout Africa. The earliest weapons were the spear, bow and arrow, Club and Mace, including other weapons such as the Boomerang. I first thought that the Boomerang originated in Australia, and I there is no doubt that many others have. There is a statue in Egypt of Prince Punt carrying a boomerang. This projectile weapon had been exported to Southeast India, being called the Valari, and to Australia being called the Boomerang. I have looked up a variety of sources from videos and articles of legitimate researchers, lecturers and professors of African Studies. The Africans were the first ones to build civilizations, introduce, Science, Astrology, Medicine (Pharmacology), Music and Mathematics. The thing is that my brother told me that our ancestors taught the world these things I have mentioned. My mother told me months ago that our ancestors built early civilizations throughout the world. Pyramids were built by Africans and not by Extraterrestrial Aliens. The oldest Martial Art Discipline is Nubian Wrestling. Many people believed that it was the Indian Martial Art Kalripayyatu. Kalaripayattu haven’t been formed since the post Medieval Crusader period 12th and 13th century AD. Nubian Wrestling became an influential grappling system treated as a sport and used for the battlefield. It is the actual ancestor art of many disciplines that we know of today such as Greek Wrestling, Kampfringen, Lancanshire Wrestling, Vajramushti, Judo, Jujutsu, Sambo, Mongolian Wrestling Shuai-Chaio Tegumi etc. Grappling and submission techniques of Nubian wrestling reflects those of other native disciplines mentioned. I have also heard that Da-Mo invented the imitation of animal movements, but in fact it goes all the way back to the Kemites and Nubians. When they perform unarmed combat, they imitated the various animals of their native villages. Nubian Wrestling have the wrestlers imitate the monkey. In China, imitations of animal movements existed at least a few centuries before Da-Mo’s arrival to Honan province. Other systems of combat was Kuta translated as defender of the Pharaoh. It’s an unarmed and armed combat system practiced by the bodyguards of the Pharaohs. The stick fighting art out of Kemet is called Tahteeb, and it is the influential stick fighting system to many African stick fighting arts such as Zulu Impi, and Kali/Arnis/Escrima of the Philippines. We see the most popular Martial Art sport on TV called Mixed Martial Arts. We consider Bruce Lee the father of MMA, but the ancestor of modern MMA goes back to the land Kush (modern-day Sudan, Ethiopia, Eritrea, and Kenya) called Pan Kau Ra Shen translated as Fighting with the Spirit of Ra. Ra is Egypt’s deity, God of the Sun. The Greeks were the first Europeans to encounter the Africans and learned the system from the Kushites and brought it back to Greece and renamed the Pankration (all force, all powers), and they took with them Kemet’s and Kush’s deities and renamed them Zeus, Poseidon, Hades, Ares, Apollo, Dionysus, Aphrodite etc. So Pan Kau Ra Shen is the actual original Mixed Martial Art and the Kushites are the forefathers of MMA. I would also give credit for Bruce Lee for revitalizing the importance of being a well-rounded Martial Artist and never limiting yourself to one style/art/discipline. There are many Martial Artists that say, “Oh, nobody has done cross-training since the time of EW Barton-Wright and Bruce Lee, and these men had broken sacred tradition of the Martial Arts.” They are dead wrong. I will never forget what Iain Abernethy said in his Podcasts and writings, “Cross-training was nothing new.” There had been many Karate masters that have crossed trained and learned the art by a variety of teachers with different combative backgrounds such as Sokon Matsumura, Choki Motobu, Gichin Funakoshi, Chojun Miyagi, Kenwa Mabuni, Hironori Ohtsuka, Kanryo Higaonna, Shoshin Nagamine, Chotoku Kyan and the Kojo family descendants of the 36 families to name a few. To further explain this, cross-training in many types of combative formats began since the beginning of time. 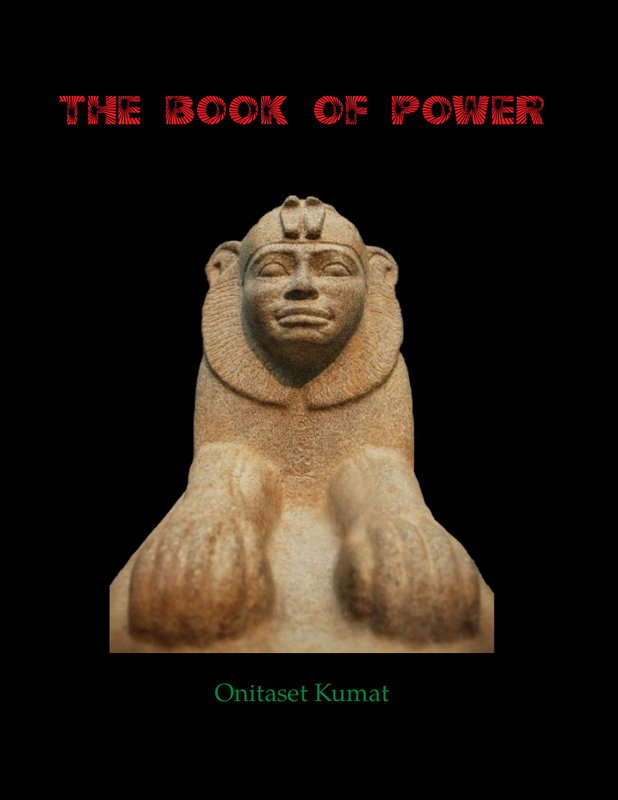 Kemet was the first world power and they took over many nations at the time. The world was opened to trade of many resources, that being the Martial Arts. And this was centuries before Da-Mo’s arrival to the Shaolin temple on Honan province. Therefore, all civilizations had foreign influence from one another in the combative arts. So the concept of Traditional Martial Arts has always been a natural transmission of cross-training, staying update and relevant. Cross-training is no doubt traditional and so many Martial Arts Instructors today had failed to understand the concept. The African people’s intention was to spread out and share their knowledge, to teach the world to be mind open minded and willing to share their wisdom. The true way of the warrior is to keep on learning, keep on expanding. I see Martial Artist that brought great influence for the African-American community such as Karriem Abdallah, Kilindi Iyi, Mohommad Ali, Jim Kelly, Wesley Snipes, and Michael Jai White and say they are following in the footsteps of their warrior ancestors. African war heroes should never be forgotten, but unfortunately hardly talked about in the History books are Shaka Zulu, an innovator of military strategy, and Hannibal Barca, considered by most scholars as “The father of military strategy”. Luckily that are mentioned in the book called 100 Great Military Leaders by Nigel Cawthorne, which I consider being a Martial Art book of mini-biographies of War Heroes of the past. Each time I train and each time I head to the dojo, I say to myself, “Man, I am truly blessed to be a scholar of the Martial Arts and have the opportunity to follow in the footsteps of my ancestors. There is a Japanese word called Shuhari. Now the word and the teaching of the Shuhari doctrine is hardly ever taught in traditional and sport based dojos across North America. As far as I know, Iain Abernethy and Hanshi McCarthy teaches that doctrine. The translation of Shuhari can be broken down easily. Shu means to hold (hold on to the traditional system of which the masters passed down), Ha, means to break (break away from what the masters taught and be innovative) and Ri means to leave (To break away from what the teachers taught you and find your own martial path, to innovate, and create something new and be a pioneer). This is where most Martial Arts instructors frown upon. I remember reading an essay that my old internet friend Bryan written called Martial Arts Monogamy. He revealed the truth that many instructors, including his own are narrow minded and not allowing their students to train in other disciplines. So the concept is Shu, shu, shu instead of the Shuhari concept. If you want more information on Shurhari go to www.iainabernethy.co.uk, then go to Podcast and find the Podcast titled Styles: Are they killing Karate? If most instructors don’t want students to expand their knowledge they mostly think of the thought of the “my style is better than your style” concept. The early African tribes never thought of that notion. They thought that being efficient in grappling, boxing, and weaponry can make the individual a well rounded warrior, therefore it all depends on how skillful that warrior is. Also certain techniques may or may not work for all people depending on body type. If I teach my students a 540 kick, many students wouldn’t get it perfectly like I do, because it can be lack of flexibility, age, or body-type, so everyone has to adapt instead of me selfishly saying, if this move works for me, it can work for you. The Martial Arts has its origins in Kemet and Kush of Africa, and not India or China, and I’m not saying this, Professors, Martial Artists, and field researchers are saying this. If it is hard to take in I would say that the information is out there, go find the right sources. I thank these individuals for bringing out this information in order to preserve History. The Ethiopian Karate Association (EKA) was established on June 20th, 2005, when it was officially registered by the Federal Democratic Republic of Ethiopia Ministry of Justice. From all the international trainers it has invited so far, Mr Reda is by far the most outstanding and he has been coming over occasionally to conduct training through the office of Mr. Solomon Kebede, the Japan Karate Association(JKA) Ethiopian Representative & Chief Instructor. Previously, most Ethiopians only had national Dans. However, Shihan Hideki Okamoto conducted training then gave international JKA examinations and Dans were awarded. Solomon was awarded a third Dan, while Genet Abegaz was awarded a second Dan. It was the first time in Ethiopian history that international Dan examinations were held inside the country. Moreover, Ethiopia was assisted to become a member of the Japanese Karate Association. Mr. Reda has done a great deal in creating a spirit of cooperation and friendship amongst the different practitioners and has therefore been made the honorable President of the EKA. Shihan Hideki Okamoto has introduced JKA and will always be remembered as being the founding father of Ethiopian JKA karate. Mr Reda and Shihan Okamoto have sacrificed a lot in both financial and material terms to introduce us to JKA and train us in the art. Ever since their training we have been practicing intensively and continuously and hope to repay them by performing well at international JKA competitions. Solomon Kebede’s interest for martial arts started at an early age. He was born in Addis Ababa on the 20th September, 1962. He finished his primary school education in Addis Ababa and then continued his studies in Addis Alem in 1976. It was during his studies in Addis Alem that he was first introduced to martial arts. He started practicing Karate and Aikido in 1976, in Ethiopia under a Filipino Dr.R.Ruano, who was the student of Takayuki Mikami, a former student of the founder of Karate Gichin Funakoshi and JKA founder Mr. Nakayama. He returned to Addis Ababa in 1984 and began to practice Karate under Mr. Berhanu Legesse Wake, a student of Dr. Senay Lekey, who was killed during the 1974 coup d’état in Ethiopia. Since martial arts were illegal, he was imprisoned for practicing karate. “I was escorted from jail by the police to finish my exam, and then escorted back” Solomon said. During the next year he was forcibly recruited for military service, which lasted for the following three years. Despite being arrested, he continued to secretly practice Karate in the woods together with his brothers Belete Kebede Negash and Fikru Kebede Negash, amongst others. This eventually led Solomon to start studying Wushu Kung Fu in 1990 and later World Taekwondo under the Korean Master Woon Park. He has continuously been training in Karate under various masters since 1992. Solomon Kebede Negash was one of the four founders of the Ethiopia Karate Federation (EKF) and has his own Karate Dojo. Solomon Kebede and Mr Reda first met in 2001 and that is considered to be the start of the EKA and Ethiopian JKA. he also train Genet Abegaz, the first senior Ethiopian female to achieve the black belt. The same year, he managed to become secretary of the technique committee of the Ethiopian Karate Federation (EKF). 2003 he earned a diploma in accounting. In 2006, he passed an exam and was awarded with the 3rd national Dan and in the same year he took another exam and was awarded an international 4th dan with a Budo pass, under foreign Shotokan Karate masters. The following year, he also started to practice Kendo under the Japanese Kendo teachers Mrs. Kaoru Tokuyama (5th Dan), Mr. Masakazu Santokuya and Mr Tatsuo Nakajima. In 2008, he acted in a film named “Lambadina”. During the same year, he was awarded his international JKA Karate Dan from JKA officially. In 2008, Solomon was appointed Chief Instructor and President of the Ethiopian JKA Karate W/F by Shihan Okamoto, in which position he is currently working. Ethiopia became a member of the Japan Karate Association through the efforts of Solomon Kebede and the late Shihan Okamoto. In 2009, he was awarded his 1st dan in Jujitsu and Judo Kyu belt. In 2010, he was officially licensed and opened a solo Judo and Jujitsu training Dojo/Club. He has upgraded his Judo and Jujitsu level by training with different masters. He was then awarded his Shotokan 4th national dan by EKF and he showed his international 4th dan 2006 certificate and Budo pass under an internationally certified examiner and he took an exam officially and passed his Shotokan 5th dan under an integrated martial art master and instructor and received his Diploma in 2011. Having shown his 4th international Dan and budo pass in 2011, he was examined in front of professionals of JKD, Wing Chun, Wushu, kick boxing, Judo, Jujitsu, Karate and received both his 5th Dan and Master Instructor of Integrated Martial Arts certification. The examiner was Grand Master Hanshi Mario Arthur, 9th Dan Shotokan, Grand Master in Different Martial art including mixed martial arts. He was the highest Shotokan master after the late Shihan Okamoto to have come to Ethiopia. Thus, these new qualifications have international accreditation . However, in Karate, as in other martial arts, senior of Dans are strictly respected and those with lower Dans should not dictate to those with higher Dans. So it will put many in an awkward position, as they are below him in seniority and will probably challenge his rank. Fortunately, the examinations were given in public and Solomon had to prove his Karate prowess in front of many martial art experts. The Hanshi also taught him the use of Kobudo. Solomon will continue to improve his skills and ensure he is in the top league of Karate in Ethiopia. In 2013, Solomon & Genet went outside of Ethiopia and trained under JKA Japanese Sensei and Shihan Edward (the first black man to receive a higher JKA 7th Dan). They received qualifications as JKA examiners, referees and instructors. They were also practicing Aikido under Sensei Kawamura (Aikido 6th Dan holder and Japanese traditional Aikido Sensei). JKA Qualified Instructor, Examiner & Referee. I hope that what we learn outside of Africa will enlighten us on what we can learn within Africa. I read this and was very happy that you seek the truth. I myself lectured and wrote a article back in 2007 for the Art of The Warrior Magazine. I have books on the subject that dates 1972. Continue to spread this knowledge! You then need to come to India and learn Kalaripayattu. Only then you should come to/draw some real conclusion. The answer you wish to share comes from a different question. Did you claim the boomerang derives from the Nubians? Actually the branch of Africans thought to have become the aboriginals are thought to have left Africa around 60,000 BCE…and reached Australia before 45,000 BCE. The first Europeans and Asians are thought to have emerged between 45,000 and 40,000 BCE. Like I said the Nubians are not close to the first, it’s also downright ridiculous that you suggest a single source for all martial arts. Many martial arts are specific to weapons that developed outside of Africa and rely on concepts and principles that certainly were not apparent/available to the Nubians. Humans developed martial arts. Yes I may seem harsh and it’s because supremacist idiots are frustrating. I almost feel as if you must be a young Earth creationist…as you assert that both civilization and martial arts started as late as 3,000 BCE (the first Nubians.) likely as you probably believe in a global flood around 3,500 BCE. Yawn. I would hope no one finds your drivel to be truthful. I am not the author of the article, but instead a propagator for its uses in research. You are clearly contentious and possibly unstable to be so agitated by an article–instead of just reviewing the article and appreciating it for its attempt. You say many meaningless, mindless and mediocre things. You even insert random and unprovoked ad hominems that more or less showcase your limitations as well as your intentions for seeping confusion instead of spreading truth. 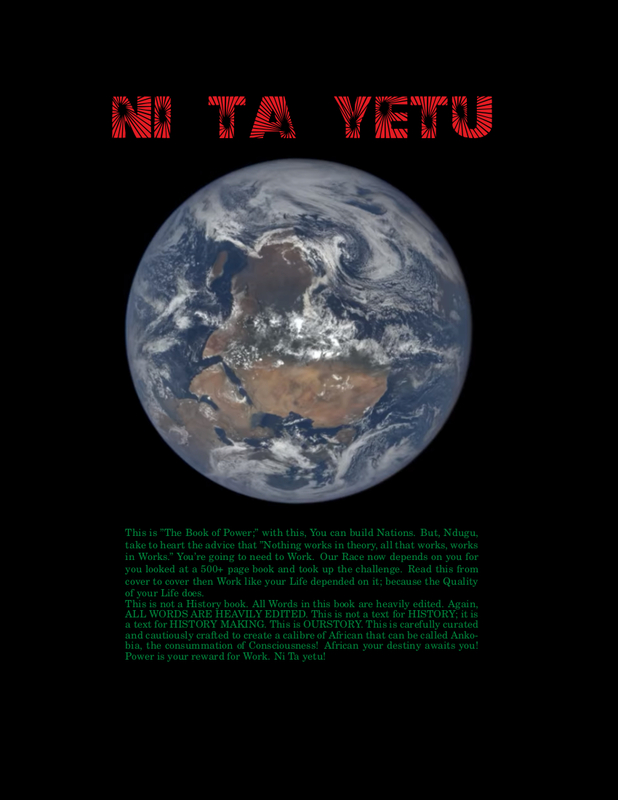 As it were ‘young earth creationism” isn’t a BLACK idea but a WHITE idea. So it’s rather foppish for you to accuse BLACK people of possibly being WHITE propagandist when in fact YOU are the WHITE PROPAGANDIST. Of course, on a substantive level, you’re drivel is just more or less to confuse. Your use of Sumeria and Nubia display your lack of awareness and your mix of weapons and martial arts continues that trend. The creation of the spear or the arrow is not necessarily the creation of martial arts. Any one with even a child’s grasp of language can inform you that a hunter isn’t necessarily a martial artist or vise-versa. I could readily accept that you confuse yourself over ‘martial arts’, ‘martial sciences’ and ‘martial practices’ when it comes to which comes first; but clearly the article is written as response to either “Karate” or Kalaripayattu isn’t the earliest of martial arts. When you grasp that “Karate” is considered a martial art–you would then be able to infer the subject matter at hand and not seep confusion and look incredibly stupid to people much smarter than you. You are dismissed. Try that trump stupidity elsewhere. More supremacy with a side of proper racism, wonderful. For such a smart guy you can’t seem to grasp context, I also couldn’t help but notice your failure to address any but one point, that is the definition of martial arts…although your ‘rebuttal’ was based entirely on a strawman. What was claimed in the article was Boomerangs were created by the Nubians or Egyptians…(3,000-3,300 BCE.) the issue is the Australians are believed to have occupied Australia over 40,000 years ago (at least 37,000 years before the Nubians.) and there’s little reason to believe they’ve been in contact with the Africans since. It’s also claimed that the club, spear and bow all derived from the Nubians…despite evidence of arrowheads some 60,000+ years ago (at least 57,000 years before the Nubians and Egyptians.) and spearheads even earlier, in fact this is from where I jokingly remarked that he’s like/is a young Earth creationist as he seems to believe human technology, civilization and ‘martial arts’ are no more than 3,500-5,000 years old. Also did you just claim Judaic religions are white in origin (as that’s the basis for what is generally known today as “young Earth creationism”. )…or that the idea of a Young Earth is white…if the notion of an idea being racial in nature wasn’t ridiculous enough? Did you also suggest that Young Earth creationism is….white supremacist/white propaganda? You just can’t make this stuff up! Your post in fact seems to have very little relevance to mine at all. main points in first post. 1. Martial arts likely existed at least as long as the first human civilizations which likely predate the historical era (6,000 BCE…3,000 years before the Nubians. ), that there’s little evidence nor logical reason to believe the Aborigines got boomerangs from the Nubians, that weapons have existed for much longer than the Nubians, that the Nubians were not the first civilization and finally that many later martial systems are based around weapons/ideas and technology that didn’t exist during the time of the Nubians. As for not understanding English…the term martial arts derives from latin and has existed for nearly 2,000 years, in it’s modern spelling it is first seen in French during the late medieval period to refer to especially swordsmanship and war. It’s not by any means an English term, nor is that it’s origin. It’s amusing that my original comment actually had very little to do with race…and yet you respond with MORE racism, it doesn’t matter if you’re responsible for the article you’re peddling the same racist rhetoric. I’ll finish with this, there was little for me to appreciate in the article….outright inaccurate information and supremacist nonsense. While this is hardly the worst I’ve seen (it’s very tame, look at some of the pro white Mediterranean supremacy online.) it doesn’t mean I have to appreciate it merely for not stacking up. Sigh. I’ll give your race credit for its persistence–even if, true to form, yours is a persistent ignorance. If all you intend to point out is that the Nubians and Egyptians are a young people according to your timeline of them and therefore, by your timeline, their international influence is too delayed to be hailed as it is, then by all means, you make a logical point–by your timeline. However, in everything context is key. The author makes a point in a context of american miseducation that suggests ‘karate’ as the origin of Martial Arts and/or Kalaripayattu. It’s as a rebuttal to those claims that the article has its merit; not necessarily in the smaller points that it may or may not have gotten wrong. Your focus on the smaller details is a full display of your intellectual immaturity and your personal flaws of pettiness. I wonder if you have a slew of relationship troubles due to your inability to disengage from petty arguments and corrections. Honestly, is this a correct assumption? Or are you only petty online? Now, as I can see, you wish for me to be petty and go over each of your points because–well–you deserve it–because–you’re white I guess? Why do you deserve a point-for-point petty argument again? Nevertheless, I can say, your timeline is off. Even your philosopher Plato has quoted Egyptians as saying, ” “O Solon, Solon, You Greeks are always children . . . . You Greeks are novices in all knowledge in all knowledge of antiquity. You are ignorant of what passed here or among yourselves in the days of old. The history of eight-thousand years is deposited in our sacred books, but we can ascend to much higher antiquity and tell you what our fathers have done for nine-thousand years. I mean their institutions, their laws, and their brilliant accomplishments.”” This is in Timmaeus (one translation.) Another translation goes, “. ‘You are welcome to hear them,’ said the priest, ‘both for your own sake and for that of the city, and above all for the sake of the goddess who is the common foundress of both our cities. Nine thousand years have elapsed since she founded yours, and eight thousand since she founded ours, as our annals record. 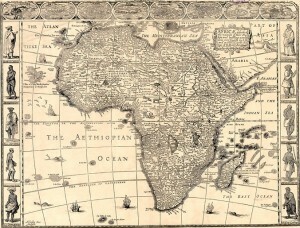 Many laws exist among us which are the counterpart of yours as they were in the olden time.” Of course, you can see what the Ancient Minoans (those who preceded Greece looked like here: https://africanbloodsiblings.wordpress.com/2012/04/13/the-meaning-of-atlantis-an-excerpt-from-timaeus-by-plato/) Spoiler alert, they didn’t look like you. But just to clarify, the Egyptians themselves claim to have at least 17,000 years of history [or 8,000 depending on how you read it] which wouldn’t add up to your ‘3,000 BC’ timeline. Also, astronomical data backs up Egypts claim to antiquity insofar as the records that westerners use today are based around the records Egyptians kept. Their charts record what’s known as ‘the precession of the equinoxes’ i.e. a phenomenon which only takes place once every 26,000 years. It goes without saying that your timeline is very flawed. Especially given that your timeline focuses entirely on the END of the Egyptians and not the Beginning. But, what you also don’t understand is that the Egyptians and the Nubians are not a separate people but a continuation of the same people in a different location. I.e. Egypt is Africa at the bottom of the Nile. 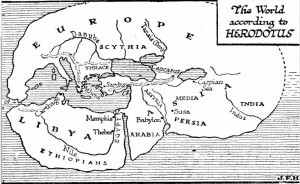 What’s more, like you may have looked into Minoa, Minoa, is Africa in ancient greece. These were colonies. So like you’d say “Michigan” is “America” and the story of “Michigan’s development is linked with American development,” the same with Egypt and Africa. Granted, you wouldn’t say “Michigan,” as an american state, has, say, a history before 1837. But if you claimed Michigan was influential to america’s automotive industry, you’d be petty and possibly miss the point if you pointed out how the combustible engine precedes 1837. As far as judaic religions being white–that’s self-evident. And yes Young Earth is white and Young Earth is linked with judaic religions. These are self-evident. The 3,000 BC timeline for Egypt that you keep citing is directly related to the judaic records. Namely, it’s the so-called “Old Testament” or “Torah” which claims that Nubia and Egypt are the first of noah’s grandchildren which symbolically means the first civilizations following ‘the flood.’ And going by noah’s timeline and the begat, begat, begat chronology in ‘genesis,’ you lead yourself to the short chronology between “Adam” and “Jesus” that limits YOU into thinking that Egypt could only be 3,000 years old given how old Adam had to be according to ‘the bible.” So yeah, the young earth creationsim and ‘the bible’ are linked. These are white ideas. You, of course, are so oblivious to the reality that YOU are the one touting young earth creationism. Not me. Even scientific dating shows the statues in Africa long precede the time limit YOU impose on them while ironically accusing me of creationism. As for martial arts, again, you attach ‘martial arts’ and ‘hunting’ as the same discipline. Using a boomerang to hit a deer and using a boomerang to hit a person is a completely different field. I know in your mind, hunting and warfare are the same concept but they aren’t. So I can grant that boomerangs are ancient. I didn’t claim otherwise. But you continue to think that because it was used for hunting it was used for war–and you seem to hold that the time difference between its hunting use and its warfare use is non-existent. You also seem to think that ‘martial arts’ and ‘martial practices’ are synonymous. I.e. you’re saying the ancient romans and the germanic barbarian tribes were doing the same thing as a discipline. Come on now. As far as your claim that the Australians left Africa in some year and never came back or had any more contact–that’s as stupid an idea as they come. First off, if the Australians ‘invented’ this boomerang so shortly after leaving Africa, it behooves you to not connect the invention back to Africa, mostly because these Australians are still Africans, no? I.e. the claim is rock paintings depict Australians throwing boomerangs at Kangaroo as early as 50,000 years. And you claim that Australians occupied Australia some 40,000 years ago. Nevermind the discrepancy and the timeline error, but supposing these numbers even added up, clearly these Australians throwing boomerangs are Africans. Granted, you can say, “but that wouldn’t make them Nubian.” But again, throwing a Boomerang at a Kangaroo isn’t a practice of Warfare. Also, there is evidence of “Egyptian culture” in Ancient Australia, but that’s neither here nor there. In short, if you haven’t noticed, the original author ALSO uses the flawed timeline that you use. You are pointing out the weakness of that timeline–but clearly he’s using the timeline YOUR people put out. So I don’t fault the author. And neither should you. If anything, you should fault your own people who purposely skewed the history of Africa to give their religious books some legitimacy in spite of their flaws. But of course, you wouldn’t do that. The skewing serves a political purpose of making white people seem greater than they are. But really, you’re all a slew of pathological liars and incompetent children. Truly, you’re all like ‘trump’ but don’t know it. In the words of my ancestors to yours, “You greeks are perennial children. Not a single greek is an elder.” Good luck with trump brah. For some reason the reply button wasn’t available. You continue with your racist remarks and ad hominems, you call me petty yet seem to show a genuine issue with me and my ASSUMED affiliation. Your entire response seems to also be based on a few strawman, talk about petty. You also harkon back to this point that I’m petty/unfair on the author and should be praising him for opposing misinformation WITH MORE MISINFORMATION? Also “he’s using the timeline YOUR people put out” <<< hahaha, you're probing very deep but you're not likely to find anything. I'm not interesting in crediting 'race' for anything, I'm interested in crediting cultures for their advancements. Firstly can you actually demonstrate Judaic religions are 'white'…or any of the seemingly racially motivated remarks you've made throughout? Whatever. Back to the point, I don't remember claiming the Egyptians first settled that land in 3,000 BCE…I was talking about the existence of a massive civilization, could you provide me with that 'scientific' dating of Egyptian monuments please…but also Egyptian culture in ancient Australia? I also don't understand how Aboriginies being Africa…as I stated they derived from Africa would in any way run contrary to anything I've said. I didn't even claim the Aboriginals created the Boomerang and only that they have had it for tens of thousands of years and therefore could not have got it from the Nubians which you've conceded. Interesting strawman, it's amazing how you conflate "Actually the branch of Africans thought to have become the aboriginals are thought to have left Africa around 60,000 BCE…and reached Australia before 45,000 BCE" with Aboriginals reaching Australia exactly 40,000 years ago. "Before 45,000 BCE" = 40,000 years ago? Sure whatever. Can you demonstrate the Boomerang was not used in combat before Nubian use…and pinpoint the earliest evidence you can find of Nubian usage of the weapon? "as the records that westerners use today" << I'll be nice and not ask you to back up the dozens of small claims you've made. One step at a time. The Nubians existed alongside the Egyptians, they were in competition with each other….whether one derived from the other doesn't matter as both were in conflict. Are you suggesting the Nubians were the only peoples to occupy Africa (apart from the later Egyptians?) I just find it strange your fixation on them. You again failed to address almost any of the points I actually made, they're sitting in the above comment in wait for you. A nice place to start would be the existence of arrowheads and spear heads from long before even 17,000 BCE and the existence of armour from well before the nubians? I guess all weapon and…armour were designed for hunting? Finally I love that there's many Black nationalist/supremacist blogs in the related to this page, hahahaha. I guess you've been VERY busy. Ah. Here I thought you retired your line of inquiry. You must know your ‘demands’ bore me. On this subject matter, it appears I’ve forgotten more than you know. You ask for basic proofs and for me it’s like–I’ve come across these years ago. They wouldn’t be on-hand. But to most people who didn’t begin their research yesterday, this is basic information. For instance, the gene that causes white skin is roughly 8,000 years old IIRC. It’s an easy find. And yet you ask for proof like it’s really a point of contention. It just demonstrates that you are woefully out of your league. It’s like going to an Astrophysicist and asking for proof of a cosmic radiation background. Clearly you’ve no business discussing the theory if you’re not even associated with the facts. Regarding whether white people are dumb brutes–it’s another demonstration of how ignorant you are and unaware of your ignorance. Research what is known as “battle-axe culture” and also research what “Barbarians” are, particularly as it relates to Romans and Germanic Tribes. You’re not well-read and it shows, unfortunately. But it begs the question of why do you wish to engage in conversation with someone so much better informed than you? Why do you feel the need to come after me? You even make a rather stupid remark about what ‘related to this page’ is as if I had control over it or as if a Black person who is Black Nationalist/Supremacist is a negative thing. Also–that you don’t clarify your own Race speaks volumes. I don’t know how to answer your questions because it’s clear that your deficit is a lack of study. I can point out scientific/historic journals/papers, but what’s the point? You should research for yourself then learnedly accept the insight of a learned individual. Right now you’re a person who guesses civilization started in the East which kind of reveals that you’re not very well-read. As you can probably infer. 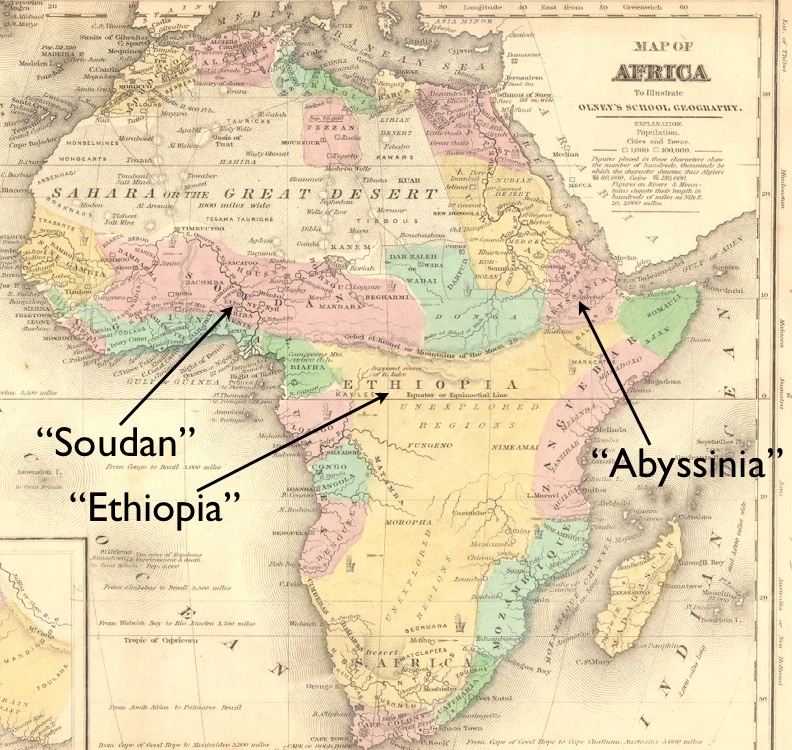 What is known as “Ethiopian” and in effect “Nubian” is loosely defined. So while I can recognize that you wish to constrain the definition of Nubian to mean “Ancient Nubia” or the civilization that followed and (as you put) competed with Ancient Egypt. The reality is that “Nubia” isn’t strictly defined that way and is regularly interchanged with Ethiopia which, for what it’s worth, had no clear meaning except to say that it was originally in Africa. But again, this whole line of conversation only reflects to me how unqualified you are to have this conversation, since you can’t even detect that definitions may be more nuanced than a casual reading would suggest. Or said differently, there’s no “Well before the Nubians” if “Nubian” is being used interchangeably with “Ethiopian,” and “Ethiopian” is, for what it’s worth, being used to mean “African.” And ever since antiquity everyone has known that Africans are the first of people. Finally, you ask how we know whether these weapons were used for hunting or warfare. And the reality is that the images that show these weapons depict hunting and not warfare. Great post brother! And thanks for sharing my links! I do recall reading somewhere Da-mo saw Martail arts being used by some oriental soldiers on Alexander The Greats army and brought it back to Indochina regions. I appreciate the compliment. Our ancestors in Kmt had said “You greeks are perennial infants, not a single greek is an Elder.” whites will always be fools. Pound for pound our intellect will always triumph over theirs. I’m on my mission. They can’t defeat me on an intellectual level. Martial arts started in india first.and went to china with buddisht moncks.